John Parnell’s affiliation with Newton Aycliffe, unbeknown to many, spans four decades. Originally from Croydon in South London, he moved to the North-East as a youngster and spent most of his schooling days in the Peterlee area. The 65-year-old has since worked in civil services all over the country, including roles for the Department for International Trade, the Department for Education and One North East, the regional development agency which was dissolved in 2012. He has spent more recent years as business development area manager (South) for Business Durham, the economic development organisation for County Durham, working on behalf of Durham County Council to deliver the environment for business and economic growth. 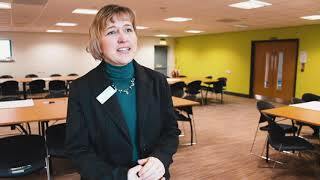 Working within Sarah Slaven’s business development team, his role is to promote enterprise, foster the environment for new businesses to start up, and enable businesses in the County to develop and grow. John played a pivotal role in setting up the original Aycliffe Business Park Steering Group more than five years ago, and continues to have a positive influence. 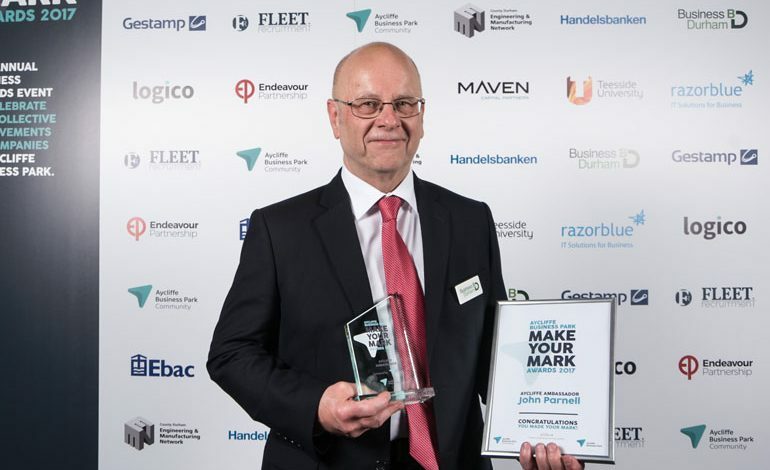 The Aycliffe Business Park Community board felt it was a fitting tribute to hand John the Aycliffe Ambassador award at this year’s Make Your Mark event for the role has played in recent years. He has seen lots of changes on Aycliffe Business Park over the years, though, and added: “Through one job or another – and for the past 40 years – I’ve always been discovering new and exciting, innovative businesses here in Aycliffe. “But I’ve definitely seen a change here recently. The business park is becoming more visible, and it isn’t just down to Hitachi. Some of our ‘home grown’ businesses – the likes of Gestamp, Ebac, 3M – have all expanded, and we have the new Forrest Park and Station Park developments on the horizon. Business Durham managing director Brian Archer was delighted to see John’s work acknowledged. “It’s great to see John recognised for all his amazing efforts over the years,” he said. “He has done an outstanding job and is a brilliant ambassador for business, many of whom he has supported and seen grow into hugely successful enterprises. “He is a man of great integrity and kindness and takes a genuine pride in the work that he does. He is very highly regarded by the businesses and his colleagues alike.